Worried about the workload on your support staff? Not able to allot work to your assistants as the phone keeps them busy? 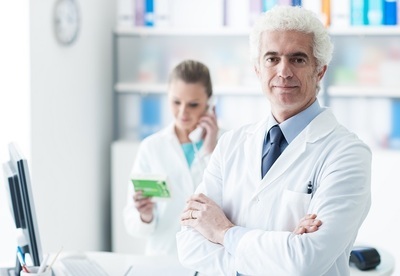 An answering service can free up your assistants and make your patients feel cared for. It can help with screening calls to rank them, and divert those that need urgent attention, or schedule an appointment for non-urgent cases. A medical answering service can also ease the panic in your patients, with dedicated call professionals who can deal with an emergency in a calm manner to help the incoming callers in a state of distress. It can also divert appropriate patients to doctors who specialize in that condition. 1. Use of technological innovations : Efficient answering services will use all available technological resources. These can include call forwarding, text messages or even video calling wherever it is available, with the patient. Sometimes, a simple picture of the patient's symptoms can help a doctor find a quick cure. Check available services and make sure that the service you are considering can provide connectivity using all the latest technical innovations. 2. Multi-lingual Services: Usually, medical emergencies are situations of distress, and in such situations, the patients or their companions tend to prefer use of their native language. If the medical answering service hired can use multiple languages, it can make a big difference in the response of patients. This may require enquiring with your patients about their native languages and consequently conveying the relevant information to the service hired. 3. Experienced Staff: Understanding the difference between a genuine emergency and a panic attack can make a world of difference, especially in the case of elderly patients. Experienced call professionals can stay calm and get a clear picture of the situation and make a choice between sending in an ambulance, or scheduling an appointment for the next day. Asking about their call answering procedure and then preparing a relevant script, can help the service personnel identify the situation and deal with it in a relevant manner. Experienced medical answering services can also help customers have a pleasant experience, prompting them to give positive feedback about your practice. 4. Use of compatible software: A major part of a medical answering service's workload will be scheduling appointments of incoming calls. The efficiency of this can be at its maximum if the answering service uses the same scheduling software as you do. Compatible software requires that the staff at the answering service can directly schedule appointments for you as per the timings, and directing patients to the relevant doctors for their troubles. 5. Outbound calls and rates: Another important thing to consider is whether the service offers outgoing calls to remind customers about upcoming appointments. This can be instrumental in customer relations, and go a long way in retaining patients for long-term treatment. Another significant consideration is whether the service charges apply even on incoming calls. The best services are those that can provide a monthly rate for the service provided, as a per call rate can be prove to be expensive and hard to bear. 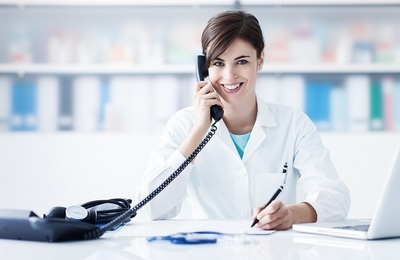 The choice of medical answering service may be an easy way to improve your customer relations. So, careful consideration in selection can make a world of difference for a better customer experience.